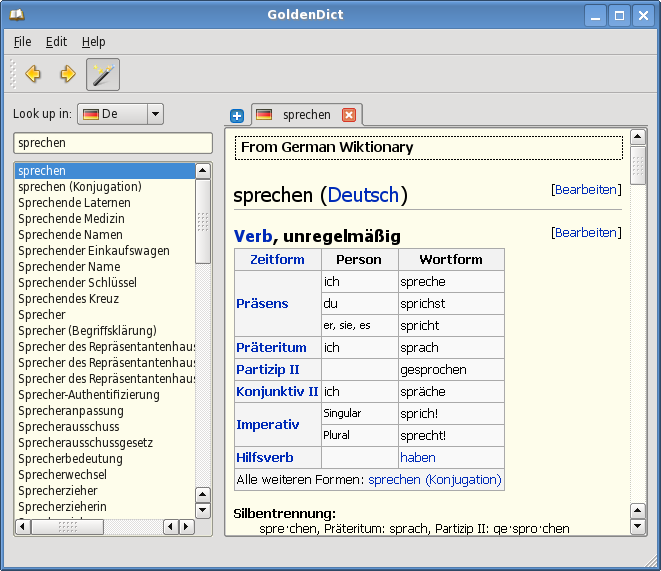 GoldenDict aims to create a feature-rich dictionary look up program. 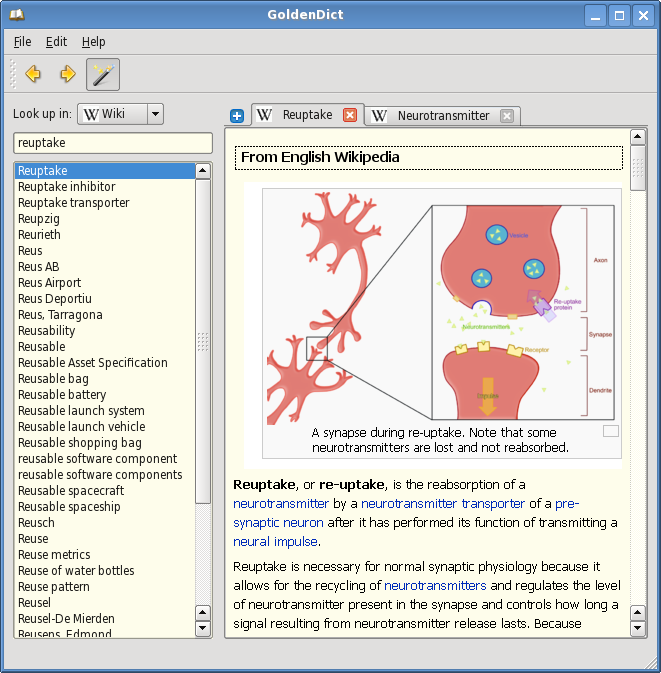 It has the ability to index arbitrary directories with audio files for pronunciation lookups, full Unicode case, diacritics, punctuation, and white space folding, scans popup functionality, support for global hotkeys, and tabbed browsing in a modern Qt 4 interface. 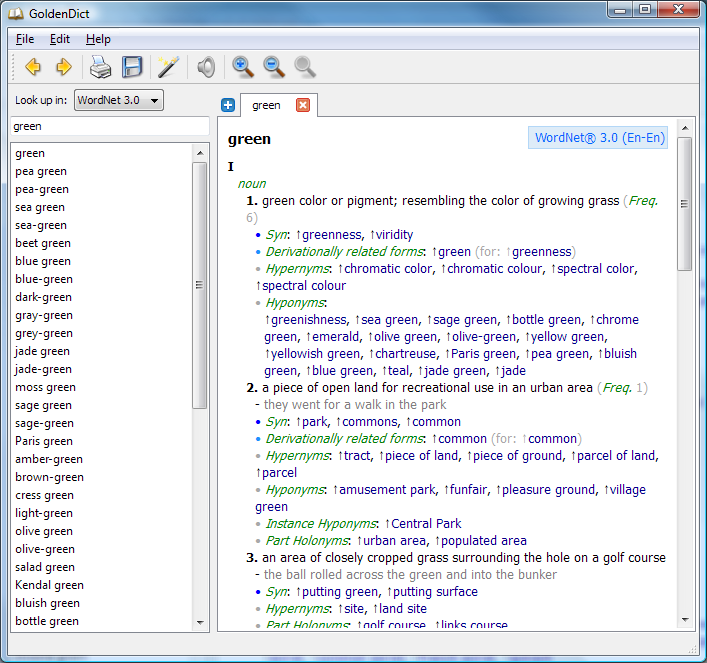 It has support for Wikipedia, Wiktionary, or any other MediaWiki-based sites to perform lookups in and arbitrary websites as dictionaries via templates URL patterns.